Make the most of your active life with LINE LIVE. Effortlessly create your own live streams and share your daily adventures wherever they happen to take you. Not only can you keep up on the most popular influencers, you can also discover talented individuals just like you who broadcast exciting content every day. 1. A place to reveal your talent to the world! With LINE LIVE in the palm of your hands, you can turn any occasion into a live event starring you. Showcase your talents and share important moments with a vast but personal audience. Find your fans and discover the rewards that await you. 2. Express your creativity with cool stickers and filters You don't need professional make up artists or perfect background sets to make a quality stream. Our collection of quality stickers and filters provide that extra bit of charm or cuteness when you need it. Find the right look to make your stream even better. 3. Boost your popularity as you reach higher levels! As you gain more and more fans and followers, you can level up to provide even greater visibility for your streams. 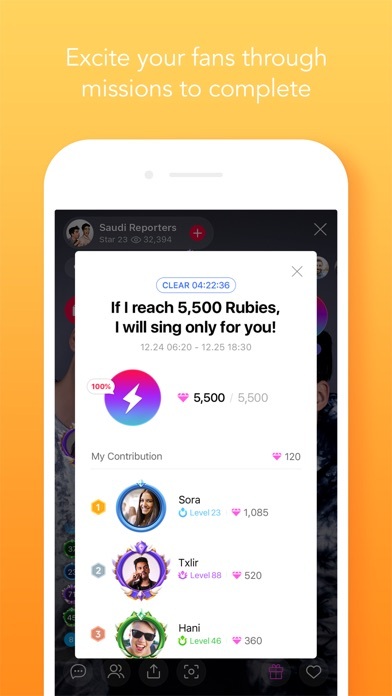 Leveling up provides better rewards and helps grow your fame. 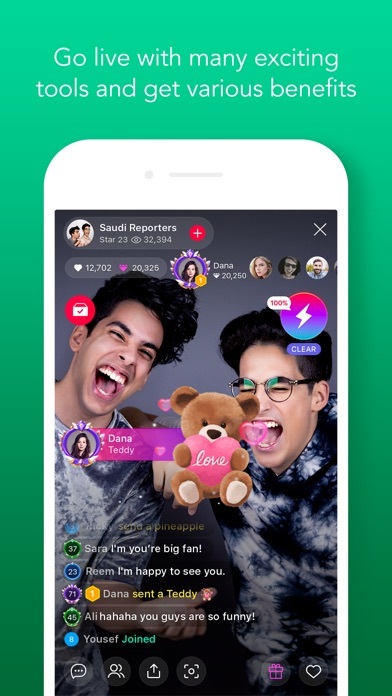 High level streamers might find themselves selected as official LINE LIVE celebrities. 4. Find LIVE streams of celebrities and other topics that appeal to your personal taste! 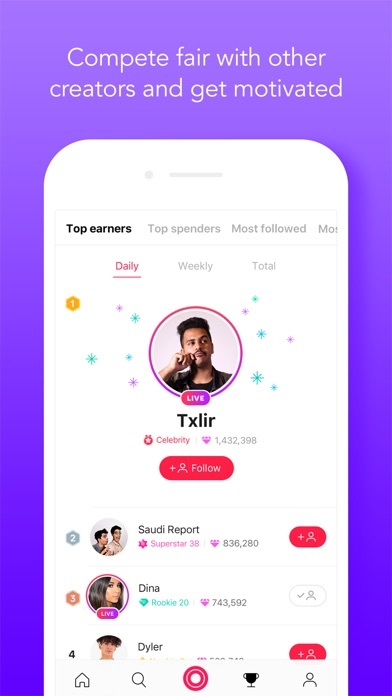 Connect with famous people or enjoy a variety of unique streams from regular users. Keep up on your favorite live streams or find new, popular streamers by checking the rankings. 5. Get connected with streamers by chatting and sending gifts! You don't just watch steams in LINE LIVE. 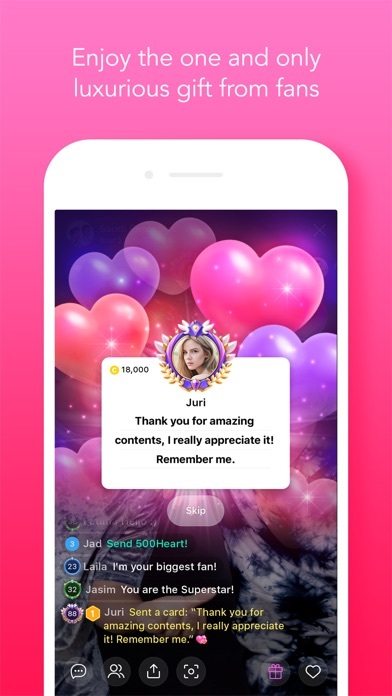 You can chat with streamers in real time and can even send gifts using a variety of animated icons. 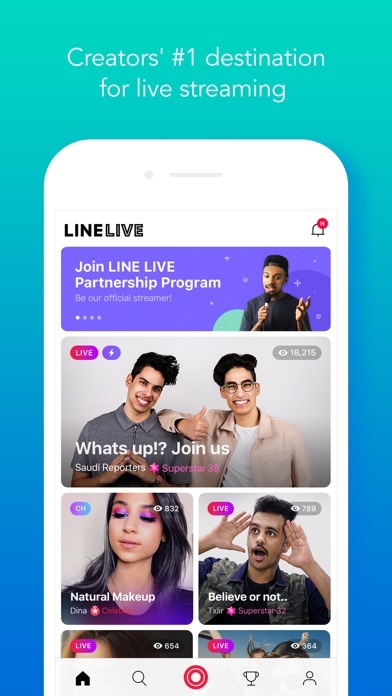 LINE LIVE is not a one-way broadcasting service. It is a place where viewers can freely interact with streamers and get to know one another. We're planning to add even more features to LINE LIVE for your enjoyment. We hope you enjoy using LINE LIVE! I don’t want to use my social account in ur app even if it’s safe! App deleted immediately. Provide Email sign up. It's an amazing app , but it doesn't work in United State to watch Arabic people ! I search for an user but there is nothing even the username is right!